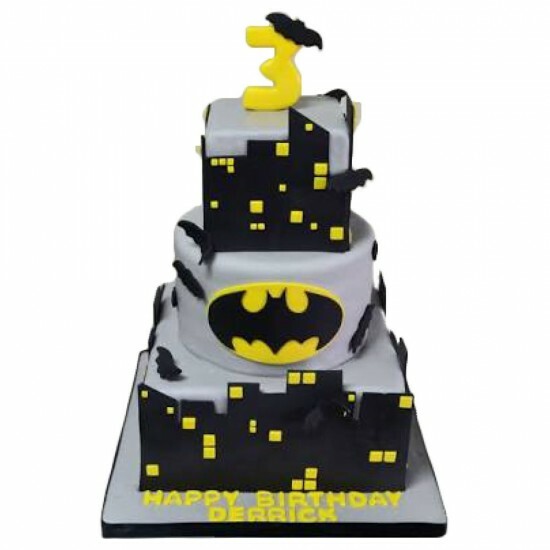 Invite Batman to your next birthday party with this Batman Gotham City Birthday Cake. The city is lit up by the dark knights sign on this bat-tastic three tiered cake. 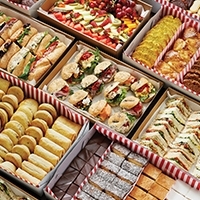 Perfect for a super hero themed party.